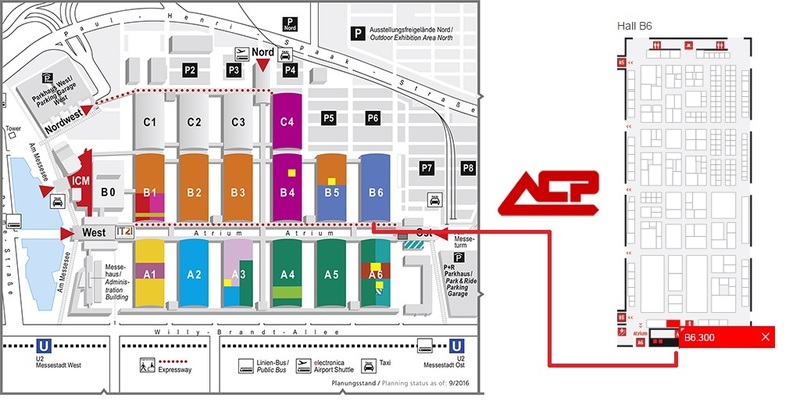 As in previous editions, ACP will participate in the ELECTRONICA fair as exhibitor, we will be in the same stand we were in last editions (B6.300), where you will be able to find new developments. We will be glad to welcome you in our stand and show you our new products, developments and possibilities to adapt to your business and meet your needs. We are looking forward to seeing you in Munchen.